Imaginative event design, incorporating invitation & PR materials; unusual locations; site décor with strong vendor resources. 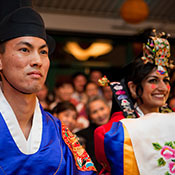 Elegantly effective event planning that takes into account the clients' preferences & diverse cultural traditions for weddings such as South Asian, Cuban, Korean and Jewish but no limited to these. 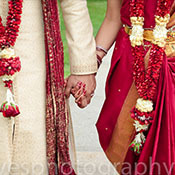 The Lotus & Leaf team will guide and oversee all aspects of a wedding. You can select the level of involvement best suited to your needs and budget. Guidance through the maze of resources and services, location, catering, invitations, photography, music, flowers, honeymoon & travel specialists. Time line development & guidance for plan execution. Vendor negotiation & review of paperwork. 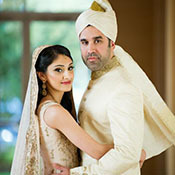 Wedding Month of Coordination: a flawless orchestration of all elements of your wedding day, including the reception. This package is ideal for couples who have taken care of all pre-event preparations but want to enjoy this special day in their lives. 3-4 weeks are needed to ensure all updates & changes are confirmed by vendors and clients. 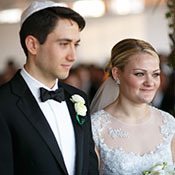 A comprehensive organization of the wedding preparations & management of the actual day. This includes all services in Packages A & B: pre-event consultations, event design, vendor referrals and the wedding day coordination. Option D & E: For the discerning but frugal bride. 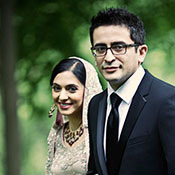 D: For couples on a frugal budget who need to acquire event planning, negotiation skills and learn about current wedding trends to create a unique wedding. Many of the elements listed in package A are discussed in a 3-4 hour session. A written checklist/timeline is given. We will then be available for 3 weeks after the face-to-face session to answer any questions, relating to the meeting by phone or e-mail. This option does not include vendors' visits or contract negotiations. This could be considered Wedding Planning 101. E: For those design-conscious clients who are on a budget but realize that the selection of an ideal venue and custom design will be pivotal for a unique wedding. This includes venue search & contract review, floral, site and invitation design and relevant vendor negotiations.